Three students from Reston’s Edlin School swept the top honors at a recent regional chemistry competition. 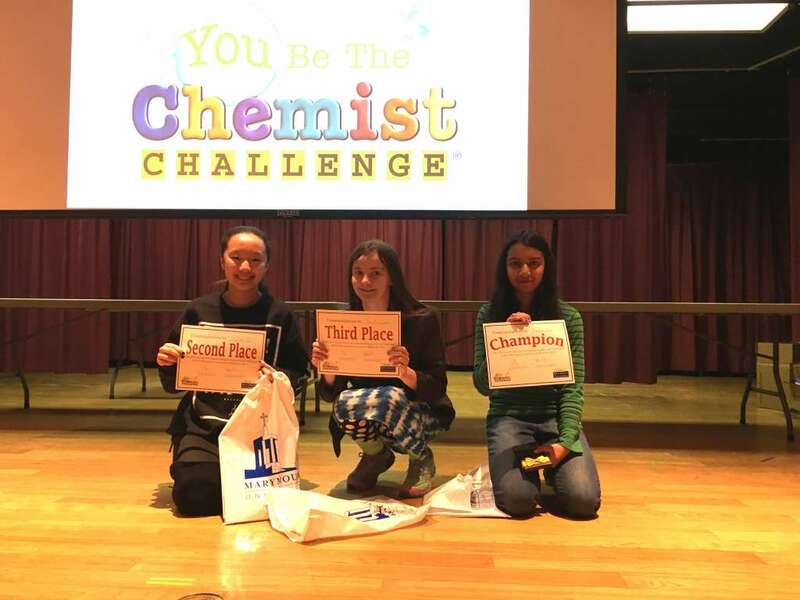 Rubaiya Emran took first place in the Fairfax/Arlington You Be The Chemist challenge for the second straight year. Her classmates Sydney Gu and Jennifer Cramer took second and third place, respectively. Tommy Qu also represented Edlin at the event, which was held March 4 at Marymount University in Arlington. The nationwide, interactive academic competition for students in grades 5-8 is sponsored by the Chemical Education Foundation. Its goal is to promote the real-world applications of scientific education and chemistry concepts. All three girls will move on to compete at the state level April 29 in Richmond. Pictured from left are Sydney Gu, Jennifer Cramer and Rubaiya Emran. Photo courtesy Edlin School.